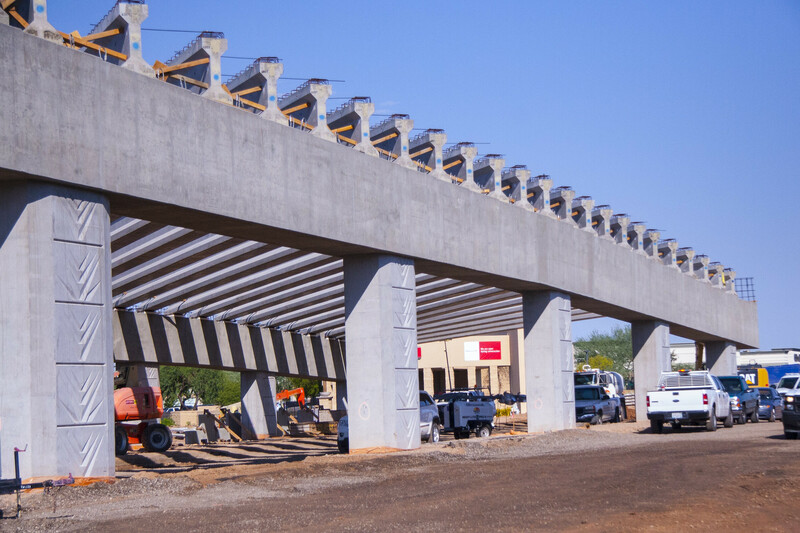 Each week we’ve closely tracked the progress on the US 60 (Grand Avenue) and Bell project. As you'll see in the photo slideshow above, all of the girders are in place, crews are creating the bridge deck and retaining walls are going up. The interchange is expected to be complete by spring 2017, but the Bell Road overpass is on track to reopen in November. Area businesses remain open during the construction. Check out our latest news from the project. And if you’re interested in seeing even more photos, please visit the ADOT Flickr site.